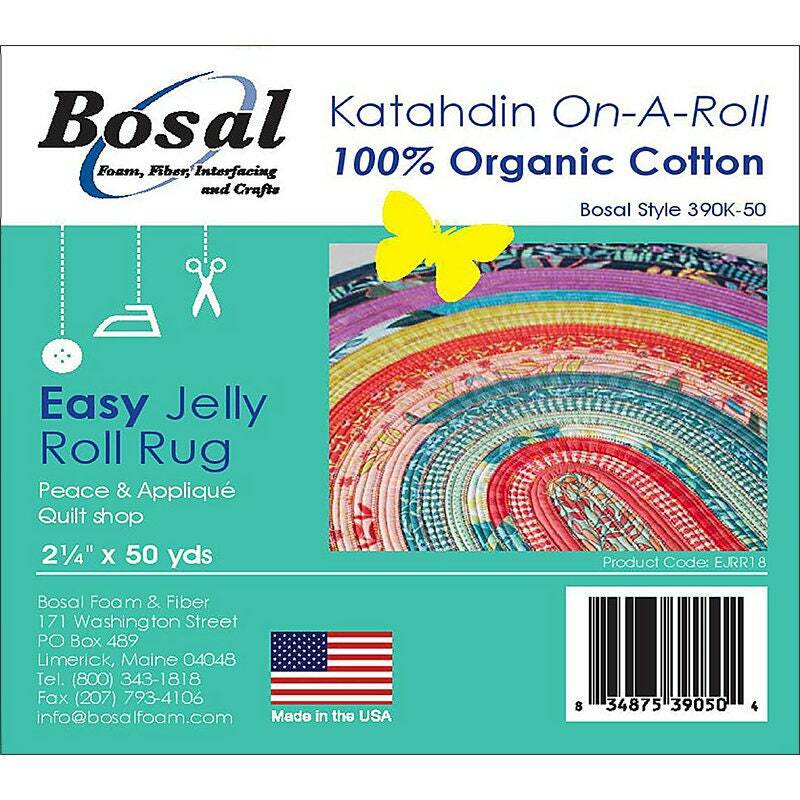 This batting roll is designed specifically for the jelly roll rug pattern and is 50 yds long so only ONE roll is needed per rug! 100% Organic Cotton. Each roll contains a 50 yd 2.25" strip of batting. 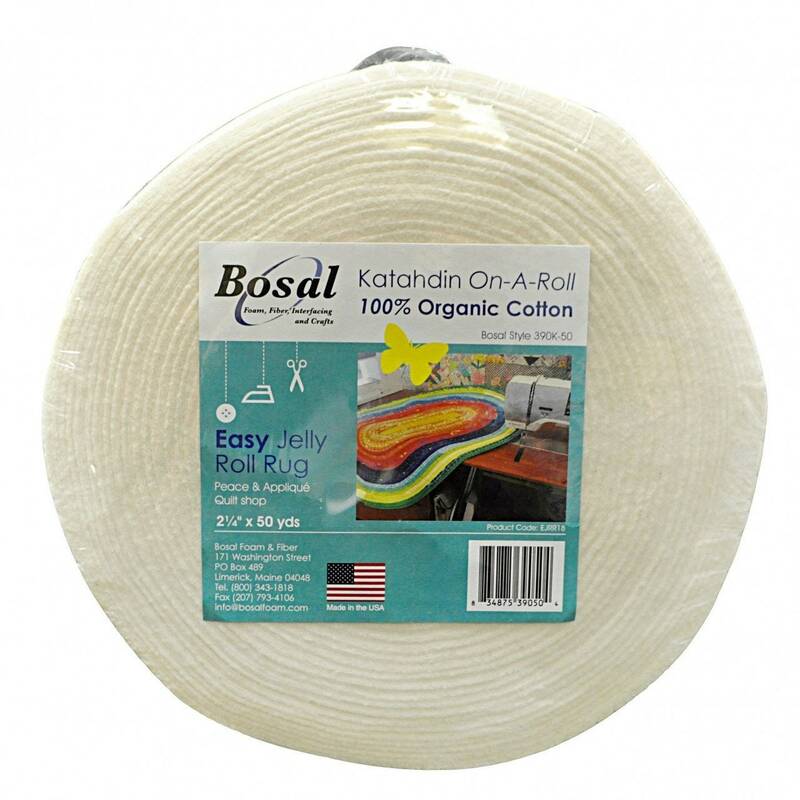 This works perfect for the Jelly Roll Rug project. I have both jelly roll patterns by Roma Lambson in my shop.